There are several companies that now cater to full-figured persons searching for larger-sized furniture. While furniture shopping may not always be easy, with some new shopping savvy, you can find styles with the look you want and the functionality you need. Take your time and shop around to find the ideal pieces that not only look great, but fit your needs as well. Besides a slew of personal and healthy living items for plus size men and women, Living XL also sells a variety of furniture that is perfect for your home, including office chairs and recliners. For standard delivery on orders under $99, shipping only costs $10 and if your order is over $100, you order can be shipped standard at no cost. 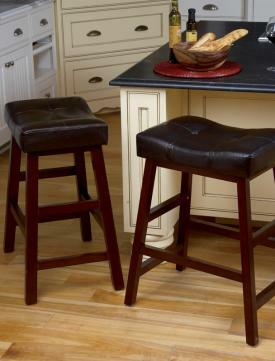 LivingXL Extra-Wide Faux-Leather Bar Stool: These stools have the capacity to seat up to 500 pounds with a sturdy wood frame that sits at 29.5 inches tall. They have an attractive black cushioned top and a dark wood frame. Purchase a single stool for about $140, or two stools for a price break of about $130 each. Even when you're looking for heavier duty furniture that fits attractively in your home, Wayfair really does have what you need. They carry an array of designer style furniture by their own brand in addition to lessor known vendors that feature plus size furniture options for beds and chairs. The best part is that shipping is free on the majority of their products. Harrison Solid Wood Dining Chair: These stylish Mid-century Modern reproduction dining chairs can support up to 300 pounds and are available in sets of two or four. They come in over a dozen different color selections and are made of heavy duty polypropylene seats done in a matte finish with walnut legs. 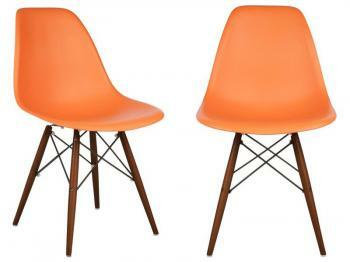 Purchase these chairs for just over $70 each. Mattress Foundation/Platform Bed Frame: This simple, but practical bed frame can hold up to 1,200 pounds and can be ordered for a twin, full, queen, or king size mattress. It includes wooden slats for stability as well as a solid center support bar with a black metal frame. It retails from about $80 to $135 depending on size. The Full Beauty site describes itself as the premiere marketplace for full size shopping, featuring over three hundred brands, including Brylane Home household, dining, and bedroom furniture. Their shipping costs are based on your purchase total, ranging from about $6-$16 for purchases under $99. Specialty shipping is also available from about $8 -$30, depending on the purchase amount and type of shipping you select. Extra Wide Ottoman With Studs: This storage ottoman is adorned with nail-head trim and comes in multiple colors like turquoise and sand. 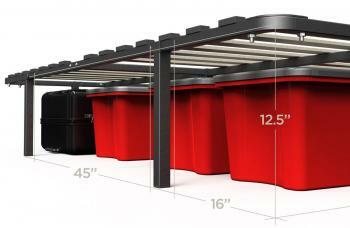 It features a 6.5" deep space to keep your anything from blankets to DVDs and has a weight capacity of 400 pounds. Starting at around $99, this is a staple piece that belongs in your home. Extra Wide Suede-Look Recliner: This armchair would not only complement any style decor with an array of color choices, but also supports up to 350 pounds of weight and comes in at a low price point of about $199. 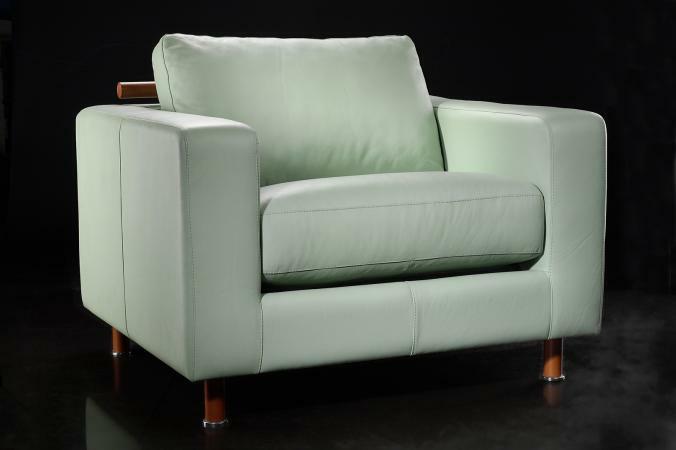 This chair encourages relaxation with a reclining function and ultra-soft microfiber upholstery. If you're working at home frequently, it's a good idea to invest in an office chair that allows you to work comfortably on a consistent basis. 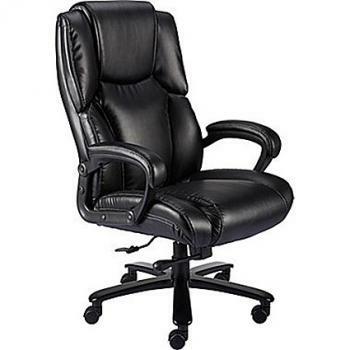 Staples offers many options for adjustable, big and tall office chairs with free shipping options at affordable prices. Glenvar Bonded Leather Big and Tall Chair: This elegant office chair can hold up to 400 pounds and adjusts for a custom fit. 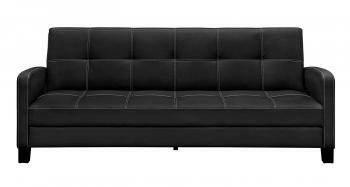 It is done in black bonded leather and sits on a five-wheel base which moves freely. Listed at about $300 with a 10-year warranty, you could be working on a cloud in no time. 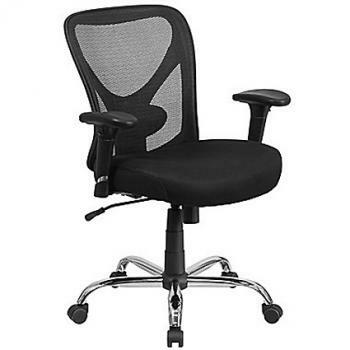 Flash Furniture Hercules Series Big and Tall Mesh Swivel Task Chair: For an office chair that allows better air flow, this mesh back task chair is ideal. In addition to its lightweight fabric, its benefits include adjustable arms and tilt angle and built-in lumbar support. It can withstand 400 pounds of weight and for around $210 it can be all yours. For Big & Heavy People breaks down multiple options for sleeper chairs and sofas that accommodate a weight capacity of up to 750 pounds. With simple styles and flexible use pieces, this is an ideal place to find recommendations of sturdy living room furniture. The products are listed on Amazon and often shipping is free. Gold Sparrow New York Chair: This contemporary, faux leather side chair is perfect for a man cave or as a modern piece in your living space. Its strong build and ability to go from chair to chaise in no time makes it a great addition to the home. It is done in dark brown or white synthetic leather with a high density foam underneath. This is sold for around $328 with free shipping. 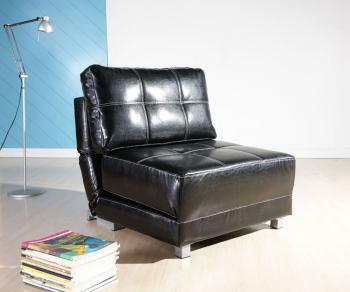 DHP Delaney Sleeper Sofa: The Delaney can support up to 750 pounds seated or sleeping and its best aspects are its slick faux leather upholstery with contrast stitching and small footprint. This means that it should fit comfortably in even apartment spaces. This sleeper sofa is listed at around $249 in black or brown with free shipping for Amazon Prime members. Many furniture retailers now carry a large variety of furniture to fit individuals of all sizes, and a few tips can help you on your search. When shopping online for plus size furniture, the first word of advice is to focus your search using terms like 'plus size,' 'heavy duty,' or 'extra large.' Most vendors' sites will yield results using those keywords, making your search more targeted. According to an article on Eastern Shore Artist, plus size furniture is sometimes double-marketed as being supportive or large enough for more than one person, so that is another aspect to look for. Keep an eye out for furniture that uses metal reinforcement in the structure and is built with wider or deeper dimensions than standard seating. Look for furniture that is made with synthetic fabrics with overstuffed padding, which means that it will be more durable and comfortable years down the line. When shopping for chairs, look for those without arms, or make sure the distance between the arm rests is wide enough to be comfortable. Another option is to look for chars with adjustable arms. If you can shop in person, don't be shy about testing the feel of the furniture before you buy. If it doesn't feel comfortable in the store, it won't be any better once you get it home. With the range of different colors, styles, and designs available, it is possible to get furniture that is functional, sturdy, comfortable, and meets your personal taste in style as well.